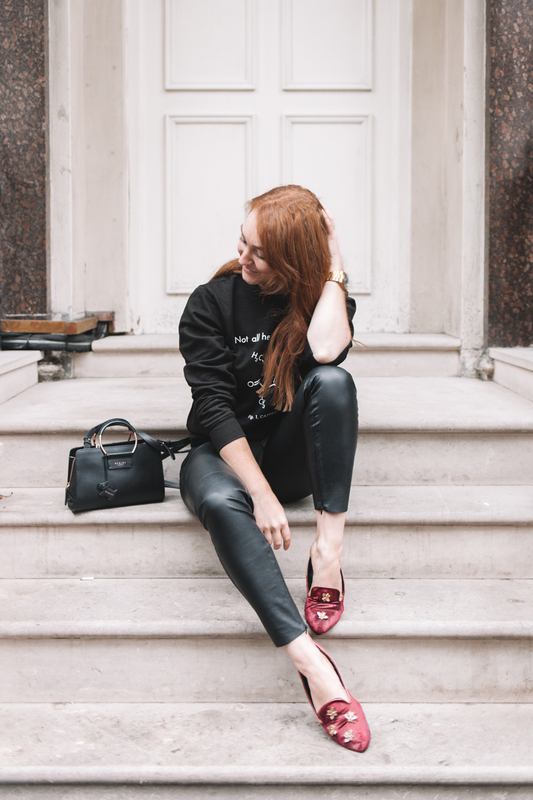 Gosh, it feels like I haven't done an outfit post in absolutely ages. I will admit I fell out of love a little with doing outfit posts for a while, as I didn't really like the whole fashion blogging movement. It started to feel really competitive and a little false, with it all being about designer wears and poses that looked like something out of mean girls "you can't sit with us". However lately I feel like I've found my flow again, and I get the vibe there is a turn towards more fun back into fashion blogging. So after a few late night online shopping sessions, I thought I'd show you my new favorite casual outfit I'm loving this autumn. I feel like I often swing between super girly with pretty dresses and pencil skirts, and then to a quite tough look. With the leather and velvet, it's almost a little rocker, but with a more fun vibe. But really this post is all about the details. And those details are what I want to show you today, the sweater and the bag. Let's start with the sweater. Oh my new favorite sweater. As soon as I saw this, I knew I had to buy it. It's from a site called Qwertee which has new designs everyday from independent designers and illustrators, but they are more quirky and funny designs, and often nerdy references too. They had 3 new designs every day so it's definitely worth checking out each day just to see if something catches your eye. But of course this one stole my heart. Coffee is my one true love- I drink about 5-6 cups a day- and so when I saw this I just laughed so much that it had to be mine. The second detail I want to bring to your attention is this beauty of a bag. The trend at the moment seems to be bags with circular handles like Chloe started. Well if you don't have a good £1000+ spare then thus could be the one for you. I have the bag right next to me as I'm typing this and I can't tell you enough how much I love it. The leather is really expensive looking, the handles give it a unique look. 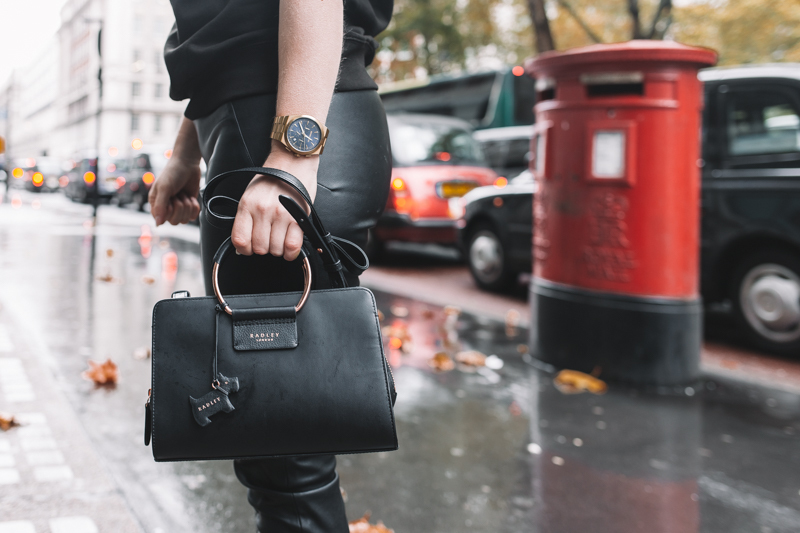 It fits a your essentials in it, but best of all, as it's real leather, when it rains like it was in these photos, it just wipes clean. Yes I'm 26 going on 50. It's a simple look, yet one I think looks well put together. Non of the clothes are expensive, but it's about key items that elevate your outfits, not about the name tag. If you've been inspired to try a quirky sweater, but not a fan of coffee, here are my picks of the best of the web. Remember, have fun with fashion, it's about how it makes you feel, not other people. Yes!! 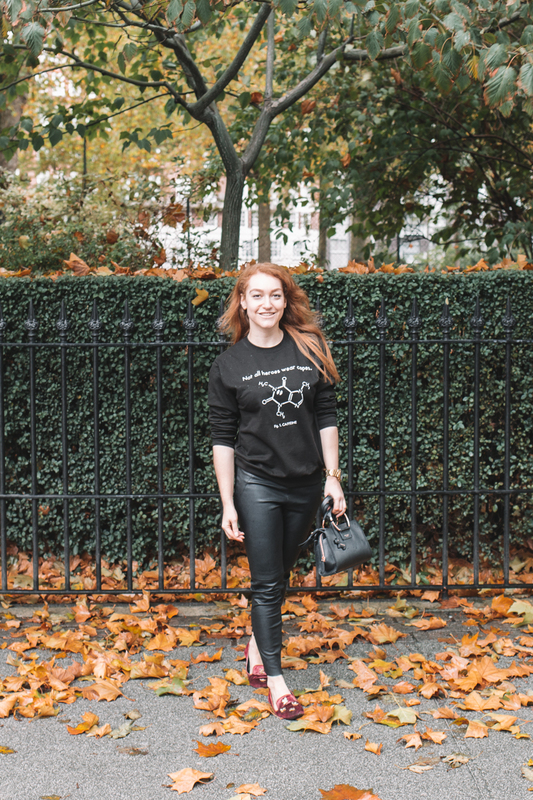 LOVING the nerdy jumper, definitely going to check these out!